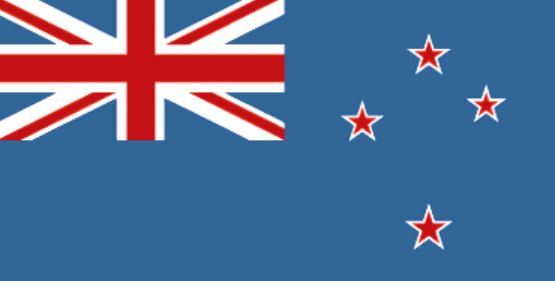 The Associated Press has reported that New Zealand, a member of the U.N. Security Council, is preparing a draft resolution meant for reviving the stalled political talks between Israel and the Palestinian Authority. He added that his country was working on a suitable text that would ensure direct Israeli-Palestinian peace talks are resumed. McLay stated that the timing of this initiative is good for advancing peace after the elections in Israel, and before the US becomes entangled in the presidential campaign in 2016. The official added his country was willing to support the French peace initiative, if it has chances of success, but stressed that the essential issue is that a political move is needed soon. McLay said his country is just trying to ensure the resumption of direct talks, and is willing to wait and see whether the French initiative for a similar resolution can achieve the desired progress. In December of last year, the U.N. Security Council voted down a resolution setting a two-year timetable for ending the Palestinian-Israeli conflict through a negotiated agreement that would lead to an independent Palestinian State. The United States kept threatening to use its Veto power to topple the vote, but eventually manage to pressure several countries into opposing it or at least abstaining. The resolution needed nine votes to pass. Both Israel and the United States conducted an extensive international campaign to convince world countries to vote against the Palestinian resolution, especially since the US did not want to be “pushed” to use its Veto power to topple it. The United States voted No to the resolution that called for ending the Israeli occupation through a full withdrawal from the West Bank and occupied East Jerusalem, and for establishing an independent Palestinian State by the end of 2017. Meanwhile, both France and Britain are trying to have the UN Security Council restart direct Palestinian-Israeli peace talks, while the United States said it might reconsider its stances regarding the stalled peace talks. Last month, France said it wants to begin talks with world countries to prepare a draft, setting the parameters for resolving the conflict, and was hoping that the United States would be part of this effort. Russia Today has reported that the French UN Ambassador Francois Delattre said during a Security Council meeting, "the Council has the responsibility to adopt a balanced and consensual resolution that sets the parameters, and timeline, for direct Palestinian-Israeli peace talks." It is worth mentioning that Israeli Prime Minister Benjamin Netanyahu declared last month he was against any solution that would lead to establishing a Palestinian State. On Monday, both Israel and the United States refrained from attending a UN Human Rights Council session on the last summer’s 50-day Israeli war on Gaza. Recently, United Nations Envoy Robert Serry told the Security Council that it must step in and provide a framework for direct peace talks, setting the parameters for achieving peace. Serry added that goal of reaching a two-state solution is threatened, and this might be the only way to save it. The Ministry of Health in Gaza said that around 2140 Palestinians, including 577 children, were killed in the Israeli onslaught; dozens of Palestinians died of their serious injuries in the months the followed the war. Over 11,100 Palestinians, including 3,374 children, 2,088 women and 410 elderly people were injured. According to the United Nations, around 400000 children from Gaza require essential psychological care due to Israel’s latest war on Gaza, in addition to its repeated and extensive aggressions since 2006. 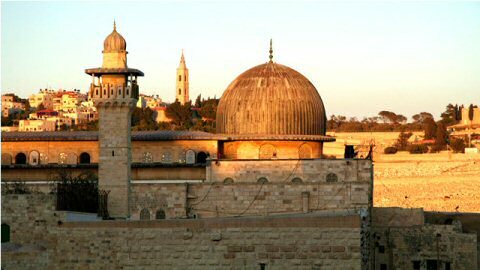 Israel’s occupation of Palestine is in direct violation of all related United Council resolutions, including 242, 338, 194, calling for a full withdrawal from all the territories it captured in 1967, including occupied East Jerusalem, and the Right of Return of the Palestinian refugees. The Israeli colonies in the occupied territories, including in and around occupied East Jerusalem, are illegal, and violate the Fourth Geneva Convention, to which Israel is a signatory. The Israeli declared stance by Netanyahu against a two-state solution effectively voids all previously signed “peace agreements” between Israel, the Palestine Liberation Organization and the Palestinian Authority, as the core of this “process” that started in the early 1990’s calls for reaching a peace agreement based on the two-state solution. It is worth mentioning that Israel conducted it largest and most extensive construction and expansion of illegal settlements in the occupied territories during the period between the first Oslo peace agreement of 1994 and the beginning of the Second Intifada in late September of 2000. On Thursday evening, just a few hours before April 17, the Palestinian Prisoners’ Day, Palestinian President Mahmoud Abbas said the release of all political prisoners, held by Israel, is a top priority and one of the cases to be filed to the International Criminal Court (ICC). Abbas added that the 6000 Palestinian detainees must be released under any future peace agreement with Tel Aviv. He also said the Israel must realize that its violations, prisons, its settlements, its illegal annexation of Lands, crimes and withholding Palestinian tax money, will just lead to more tension, and will distance the region further away from a just and comprehensive peace. 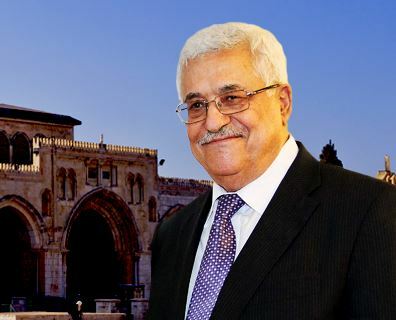 Abbas stated that peace is based on ending the Israeli occupation, Israel’s withdrawal from all of the territories it captured in 1967, including Jerusalem, and the establishment of a sovereign and independent Palestinian state, with Jerusalem as its capital. He also said that the Right of Return of the Palestinian refugees, as stated by UN General Assembly resolution #194 and the Arab Peace Initiative, is a legitimate right that cannot be abandoned, or ignored. The Palestinian president also stressed that the suffering of the refugees in Syria, especially in the Yarmouk refugee camp, is of a serious concern to the Palestinians, and that the Palestinian leadership has constantly demanded to keep the refugees out of internal conflicts. "We took him at his word when he said that it would not happen during his prime ministership, and so that is why we have got to evaluate what other options are available to make sure that we do not see a chaotic situation in the region," the president said. 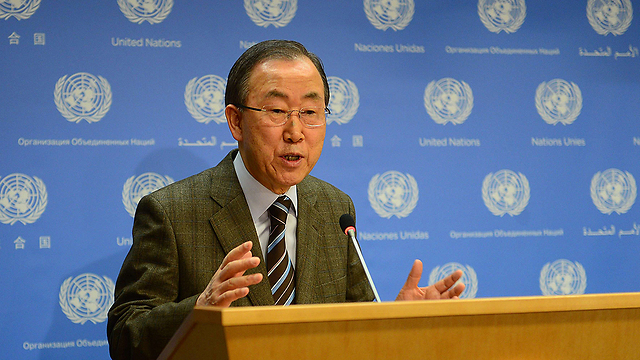 Secretary-General Ban Ki-moon congratulates Netanyahu, asks him to reiterate support for Palestinian state. UN Secretary-General Ban Ki-moon called Prime Minister Benjamin Netanyahu on Friday to congratulate him for his re-election victory and to urge the Likud leader to renew his commitment to a "two-state solution" to the Israeli-Palestinian conflict. Netanyahu won re-election this week after a close-fought parliamentary campaign in which he toughened his stance, vowing he would thwart the creation of a Palestinian state. Since winning the vote – and amid a storm of international criticism – Netanyahu has tried to walk back his remarks, protesting in US media interviews that his position has not changed. But Ban still felt the need to remind Netanyahu of his previous commitments to a negotiated settlement with the Palestinians that would see two states living side-by-side. "The secretary-general reiterated his view that the two-state solution was the only way forward and urged the prime minister to renew Israel's commitment to that goal," Ban's spokesman said. "The secretary-general also urged the prime minister to release the tax revenue currently held by Israel but owed to the Palestinian Authority," the statement added. Earlier in the week, UN spokesperson Farhan Haq told reporters that the new Israeli government must engage with the international community and foster the conditions necessary for a resolution to the conflict, including the freezing of settlement building on lands Palestinians hope to make part of their state. Netanyahu's rhetoric also has also drawn a rebuke from Israel's steadfast ally Washington and the White House warned it may reconsider its stance on advancing the peace process. Israeli prime minister Benjamin Netanyahu on Thursday backtracked on recent hardline statements against the establishment of a Palestinian state and said he is still committed to the two-state solution. In an interview with the American NBC television channel, he called on Palestinian Authority president Mahmoud Abbas "to abandon his pact with Hamas and engage in genuine negotiations with Israel for an achievable peace." Netanyahu claimed he did not backtrack on his 2009 speech at Israel's Bar Ilan University, where he had called for the establishment of a demilitarized Palestinian state recognizing Israel as a Jewish state. "I want a sustainable and peaceful two-state solution, but circumstances have to change for that to happen," the Israeli premier said. "It is s time there is pressure on the Palestinians to show they are committed to peace," he added. A day before the election, Netanyahu told the Israeli media that a Palestinian state would not be established on his watch because of the current climate in the region. Despite PM's attempt to backtrack from Palestinian state opposition, Washington says it is clear Netanyahu walked back from previous commitment to two-state approach. Despite Prime Minister Benjamin Netanyahu's attempts to backtrack from hard-line statements against the establishment of a Palestinian state, the White House on Thursday pointedly raised the prospect of withdrawing crucial diplomatic cover for Israel at the United Nations. Earlier Thursday, Netanyahu denied he had abandoned his commitment to creating a Palestinian state, but said current political conditions made that possibility more remote. "I don't want a one-state solution. I want a sustainable, peaceful two-state solution. But for that, circumstances have to change," Netanyahu said in an interview on MSNBC, appearing to back away from comments he made during the Israeli election campaign that drew heavy US criticism. "Steps that the United States has taken at the United Nations had been predicated on this idea that the two-state solution is the best outcome, said spokesman Josh Earnest. "Now our ally in these talks has said that they are no longer committed to that solution. That means we need to reevaluate our position in this matter, and that is what we will do moving forward." White House spokesman Josh Earnest told reporters it is clear that Netanyahu during his campaign walked back from his previous commitment to a two-state solution with Palestinians. Earnest said, however, that the US remains committed to continuing cooperation on military intelligence and security with Israel. In the interview, Netanyahu said: "I haven't changed my policy. I never retracted my speech in Bar-Ilan University six years ago calling for a demilitarized Palestinian state that recognizes the Jewish state." The prime minister also pointed to the presence of hostile Islamic groups across the region and said that any captured territory handed over to Abbas would be taken over by militants. Hamas seized control of the Gaza Strip in 2007, shortly after Israeli withdrew. A day before the election Netanyahu told the nrg news website that a Palestinian state would not be established on his watch because of the current climate in the region. "Whoever ignores that is burying his head in the sand. The left is doing that, burying its head in the sand time after time," he said in the video interview. When asked if that means a Palestinian state will not be established if he is elected, Netanyahu replied, "Indeed." In another signal that the US administration is looking to turn up the heat on Netanyahu, the White House is sending Obama's chief of staff, Denis McDonough, to address the liberal pro-Israel U.S.-based group J Street on Monday. 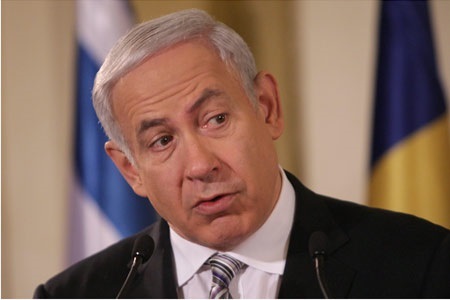 The group, a proponent of two states side by side, opposed Netanyahu in the election campaign. The prime minister made attempts to affirm his country's strong ties with the United States on Thursday after tensions in the run-up to his election victory, saying Israel has "no greater ally." "There are so many areas where we must work together with the United States," Netanyahu said in an interview with NBC. "America has no greater ally than Israel and Israel has no greater ally than the United States." Netanyahu won a bitterly contested Israeli election this week after shifting to the right in the final days of campaigning. "We can have differences, but we have so many things that unite us. We have a situation in the Middle East that is very dangerous, that presents a common challenge," Netanyahu told the network. In the NBC interview, Netanyahu dismissed allegations he was racist, after he said during Election Day that the high Arab voter turnout was endangering his right wing party's dominance. "I'm not," he said. Netanyahu said he had not yet spoken to US President Barack Obama, but he was sure they would speak soon, according to NBC. Secretary of State John Kerry called Netanyahu on Wednesday to congratulate him. 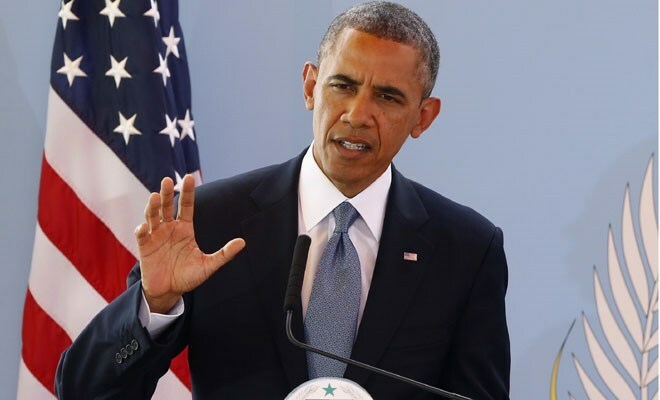 Obama will follow suit "in coming days," White House spokesman Josh Earnest said. He said that after previous elections Obama had waited a similar amount of time, holding off until Netanyahu was formally given the go-ahead to form a coalition. Netanyahu’s insistence that there will be no Palestinian state while he holds office, seen as a maneuver to mobilize his right-wing base, angered the Palestinians and drew criticism from the United Nations and European governments. Chances for restarting long-stalled peace moves already had been low. 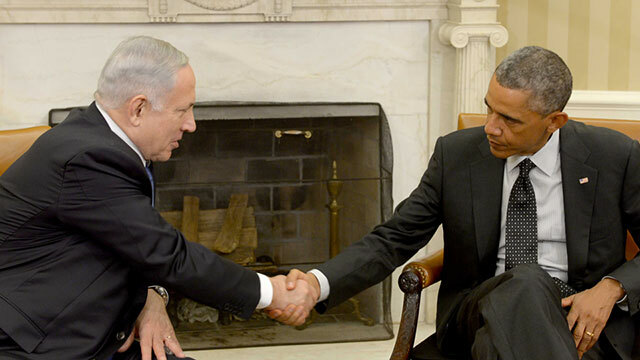 US lawmakers were divided on Netanyahu's hardened stance. "It was remarkable to back-track so significantly on a two-state solution," said Democratic US Senator Chris Murphy, adding it could make Washington's effort to mediate more difficult. Republican Senator Lindsey Graham said he hoped the United States and Israel would see the election as "an opportunity to start over." 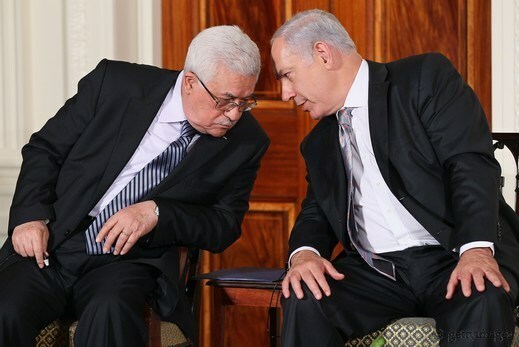 But he said: "A two-state solution is impossible as long as Hamas exists and runs Gaza." The Palestinian Ministry of Foreign Affairs expressed hope that the Israeli Knesset elections, which preliminary results showed a victory for the Likud party led by Benjamin Netanyahu, would constitute an opportunity for launching a serious and effective peace process based on the accumulated experience gained in previous negotiations. The Ministry confirmed, in a statement on Wednesday, that the PA does not interfere in the Israeli internal affairs, and affirmed its commitment to political cooperation with the new Israeli government regardless of its formation. The PA Ministry asked the Israeli authority to abide by the international resolutions and initiatives regarding the peace process including the Arab peace initiative. It also demanded a halt to the settlement construction and the implementation of the agreements and pledges agreed upon previously within a specific time frame. The statement also demanded the end of the Israeli occupation and the establishment of the independent state of Palestine, on 1967 borders, with East Jerusalem as its capital. The Israeli election result is a new declaration of war against the Palestinian people and proves the Israeli voter’s inclination towards extremism and criminality, he said. Bahar called on PA chairman Mahmoud Abbas and his negotiation team to stop peace talks with the occupation and to activate the resistance option in response to some Israeli candidates’ calls for waging wars on Gaza during their election campaigns. He also called for putting an end to the security coordination policy and to activate in this matter the PLO Central Council’s decisions. He stressed the urgent need to build a comprehensive national program based on Palestinian constants and resistance. The PLC deputy speaker hailed the Palestinian people in 1948 occupied territories for forming a united Arab front in face of the Israeli racism. His comments came shortly after the Arab Joint List gained 14 seats in the Knesset election.